A stone's throw from the RER A train station and in the heart of the Rueil 2000 business district, the ibis budget team welcomes you to a friendly setting and will make every effort to ensure you enjoy a comfortable stay. 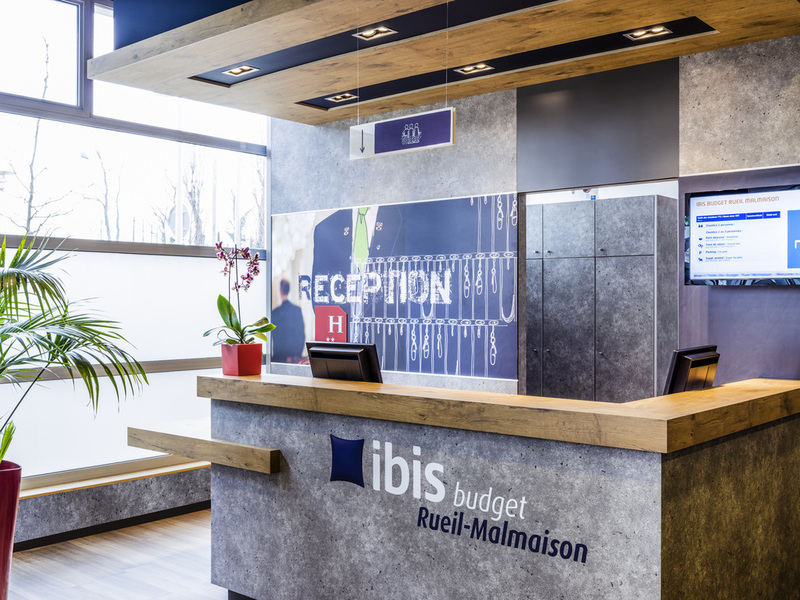 Located in the Rueil 2000 business district and near the RER A train station and the A86 highway, the ibis budget at Rueil-Malmaison (formerly an Etap Hotel) offers a convenient connection to La Défense for your meetings or conferences, and to the Champs-Elysées for a stroll along the most beautiful avenue in the world. Sleep well in comfortable rooms for one, two or three people at affordable prices, and brighten up your morning with a tasty breakfast. WIFI Internet is free.